If you’ve read “Hellblazer” then you’ll recognize the irony of the #Save Constantine movement. John Constantine tricked the devil himself and saved bunch of people in the comics and now is campaigned to save him. Sweet irony. 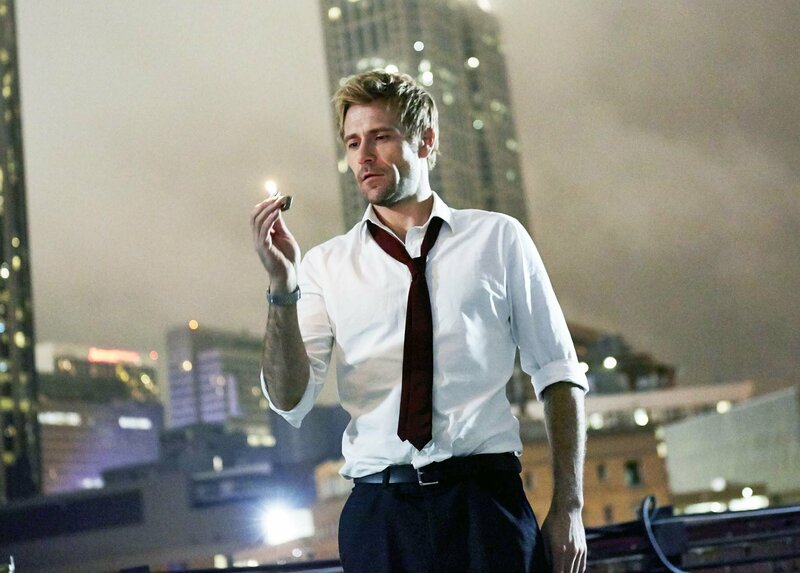 It felt right for the old bugger to be saved from time to time, but I wonder is the NBC’s “Constantine” worth saving? First, let’s get one thing cleared. “Constantine” isn’t a rip-off of “Supernatural”. It’s the other way around since the creators of “Supernatural” borrowed the inspiration for the series from the “Hellblazer. 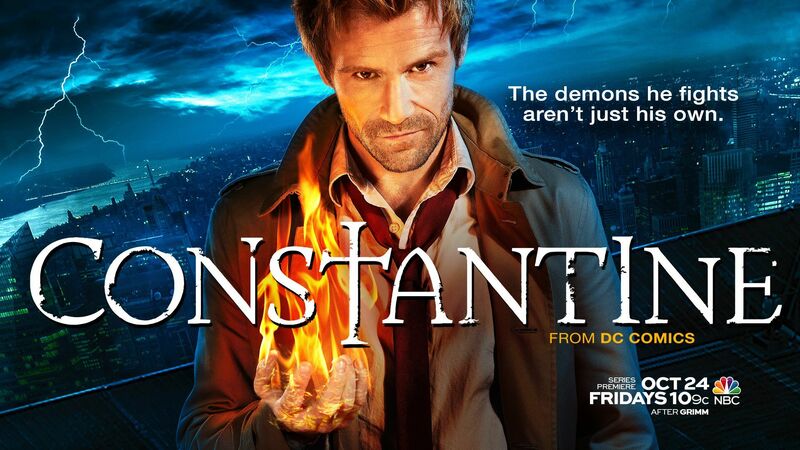 NBC made the series in last year, but it’s wrong to say “Constantine” is a rip-off of “Supernatural”. You may’ve seen the film “Constantine” with Keanu Reeves? Well, forget it since the show doesn’t have much in common with the film. It happened that I watched first season of “Supernatural” in the same time as the first season of “Constantine”. Guess what: “Constantine” is way better. “Supernatural” was great as the season was coming to an end but if the first dozen episodes are compared then “Constantine” wins in a landslide. Matt Ryan is great choice for John Constantine. He played the role so convincingly that even the biggest fans of the comic said that he should go on with it. In the fandoms that’s the biggest compliment anybody can get. Matt Ryan is the reason why they should keep it. The start of the season wasn’t as good as the end. David S. Goyer should consider to stop working with DC characters since most of what he begins on his own doesn’t work. I don’t understand whose brilliant idea was to start the show with different pilot and why it changed the time slot in the middle of the season? It took few episodes of the show for everybody to relax. The stories were better, the acting too. Inclusion of Zed into the story so early was obvious compromise since her planned appearance was in the later stages of the show. She was a pleasant surprise. We got a hint of “Resurrection Army” in the show and it would interest me to see where that thread of the story would lead. There are many hidden references in the show, “Delano Street” in one episode is my favorite. Jamie Delano made the Constantine what he is, and it was nice to see homage to him on the screen. Authors tried to recreate the atmosphere of the novels and anybody who has read the comic should appreciate that. Ratings aren’t as good as expected, but for this show results aren’t surprising. Supernatural fantasy shows often need time to grow. Network often has difficult time to decide if they will nourish or canny it. That’s why most of the fans think that “Constantine” would thrive on Netflix, HBO, Amazon or similar (pay-per-view or web-based) hosts. Its dark nature obviously isn’t welcome on NBC, ABC and alike. Rumors claimed that SyFy will pick up “Constantine”. SyFy refused to host the show if the NBC cancels it. The campaign for saving “Constantine” is strong, so the decision is prolonged until May. Will the spring be happy for “Hellblazer” fans? Should the story continue or reboot? Matter of opinion, really. Papa Midnite, Corrigan (Spectre) and Manny accompanied the trio of Constantine, Zed and Chas during the season. Manny is the biggest riddle of the show so far since he’s not present in the comics. He’s an angel and he works as weird parole officer of Constantine’s. What is his agenda? What are his goals and who is his superior? Last episode of the season (maybe the show too) gave us few hints but nothing is definite. There were references on “Dangerous Habits”, most popular storyline in the novel, in the last few episodes. All the references seemed like desperate move to attract huge “Hellblazer” fan base to the campaign of saving the show. NBC proved it hasn’t planned of what to do with the show. 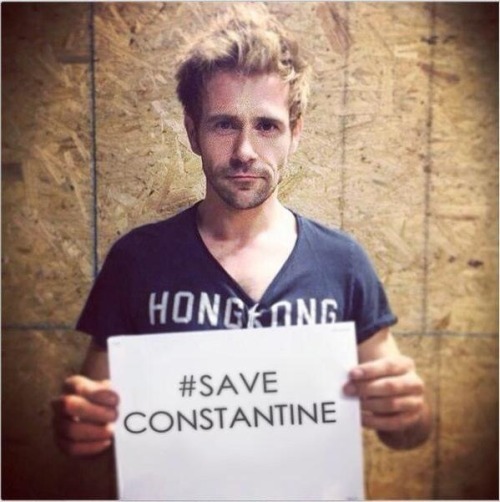 There is sweet irony in #Save Constantine campaign. Comic-book John Constantine would find it hilarious. He would make fun of the campaigners and invited them for a drink. Then, after good laugh, glass of gin and a cigarette, when the frustrated fans turn their backs on him, he would save himself. Hopefully, “Constantine” will go on. It will be darker, more true to the comic book and it will be like that without David S. Goyer. Until the announcement, we have comics to enjoy. Old bugger, the joke is on you, now save yourself and stop teasing us.